According to officials with AAA, more than 42 million Americans are expected to travel 50 miles or more from home for their Fourth of July celebrations. That’s close to a 5 percent increase from the travel that was expected last year. 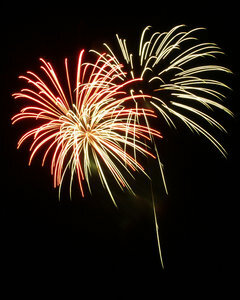 This year’s Fourth of July holiday period stretches from July 3rd through the 8th. This time, with all of the traffic out there, is a time when we see extreme risks for drunk driving car accidents in Boston and elsewhere. The Fourth of July holiday serves as a popular time for residents and visitors to gather at outside barbeques, bond with friends and family members, light off some fireworks and throw back a few cold ones. Unfortunately, too many will hop in a car after drinking. It’s not the greatest setup to have a holiday right in the middle of the week, but it’s nice to know when Americans are most likely to travel. According to the Los Angeles Times, more than half of those who will be venturing out for the Fourth say that they’re going to start off their vacations before the work week even starts. Our Boston drunk driving car accident lawyers understand that most of us will get to enjoy a day away from work and will be out celebrating because of it. We’re just asking everyone to celebrate responsibly. Every day, someone is killed in a drunk driving car accident every 51 minutes. Don’t let this happen to you. Stay sober behind the wheel and keep an eye out for drivers who may not have made such responsible decisions. These kinds of accidents are completely preventable! -A quarter of all travelers will be setting out on June 29th, the Friday before. -More than 15 say they’ll head out on Saturday. -About 13 percent say they will be setting out on Monday. -About 19 percent say they’re heading out the day before, on July 3rd. -The last 16 percent say they’re going out and celebrating the day of, on the 4th. Of these travelers, nearly 36 million of them will be using our roadways. This is the largest number in the last 10 years. Only about 3 million are expected to fly. During the upcoming holiday, motorists are asked to be careful. With more vehicles on our roadways, more accidents can be expected. Unfortunately, we also can expect a lot more alcohol-related accidents, too. This holiday produces some of the highest accident rates throughout the entire year. Make sure you go out with a plan. Always designate a sober driver if you’re going to be drinking and make sure that your friends and family members are taken care of, too. Never let someone you love jump behind the wheel after consuming alcohol. The Law Offices of Jeffrey S. Glassman, LLC is here to offer assistance and help to victims and to the family of victims of car accidents in Boston, Quincy, Braintree or elsewhere throughout the area. Call 1-888-367-2900 to set up a free and confidential consultation to discuss your case.